Юрій ТРЕТЯК. Керівник Групи радників з впровадження державної регіональної політики в Україні Програми "U-LEAD з Європою"
Сергій МАКСИМЕНКО. Заступник керівника Групи радників з впровадження державної регіональної політики в Україні Програми "U-LEAD з Європою"
Between 2014–2016 Ukraine made significant progress towards bringing regional policy in line with the principles, standards, models and approaches of the EU. The State Regional Policy of Ukraine is gradually and consistently transforming into a policy supporting cohesion, in investment policy aiming at increasing the competitiveness of all of the country's territories and strengthening the national economic, social and political space as well as strengthening interregional cooperation. АГЕНЦІЇ РЕГІОНАЛЬНОГО РОЗВИТКУ, СТВОРЕНІ У ВІДПОВІДНОСТІ ДО ЗАКОНУ УКРАЇНИ "ПРО ЗАСАДИ ДЕРЖАВНОЇ РЕГІОНАЛЬНОЇ ПОЛІТИКИ"
REGIONAL DEVELOPMENT AGENCIES ESTABLISHED IN ACCORDANCE WITH THE LAW OF UKRAINE "ON THE PRINCIPLES OF STATE REGIONAL POLICY"
By the end of 2017 there were 10 Regional Development Agencies in Ukraine that were established in accordance with the Law of Ukraine "On the Principles of State Regional Policy". According to this law, the Agency for Regional Development is a non-profit institution established on the basis of a partnership between the public, private and social sectors, employers' organizations and related associations. The program "U-LEAD with Europe" works on empowerment at the local level, accountability and development in Ukraine. It was co-funded by the European Union and the member states Denmark, Estonia, Germany, Poland and Sweden. The program has shown results in 2017. One of the main successes of the program was the formation of pools of experts and working groups in every region of Ukraine at Centers for Local Self Government Development, which became catalysts for decentralization reform. Анатолій Ткачук. Радник з питань координації та планування регіонального розвитку Групи радників з впровадження державної регіональної політики в Україні Програми "U-LEAD з Європою", директор з питань науки та розвитку ГО "Інститут громадянського суспільства"
Recently the Zhytomyr Region has come up with a comprehensive solution in the area of regional development: The Baranivska amalgamated hromada approved a strategy for development, a territorial planning scheme, and the key elements for branding. This is probably the first time in Ukraine where several crucial components have been brought together at the amalgamated hromada level – the processes of strategic development for territorial planning and the process for resolving questions regarding territorial marketing have been unified. 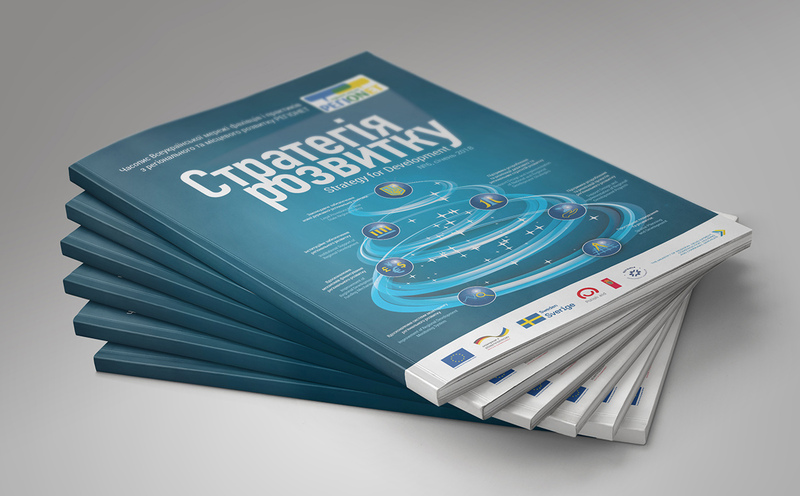 The Council of Europe Program "Decentralization and Territorial Consolidation in Ukraine"
In 2016 the Ministry of Regional Development, the Council of Europe Program "Decentralization and Territorial Consolidation in Ukraine" and Internews Ukraine cooperated to develop and manage the methodology of conducting the All-Ukrainian Journalist Contest "Reforming Local Self-Governance and Territorial Consolidation". In 2017 this contest was held not only at the national level, but also in several regions – with the help of regional budgets and the methodological support of the Council of Europe. ЗНАННЯ ІСНУЮТЬ ДЛЯ ТОГО, ЩОБ ЇХ ПОШИРЮВАТИ! KNOWLEDGE EXISTS IN ORDER TO BE SPREAD! Іева КАЛНІНЬЯ. Лідер шведсько-українського проекту "Підтримка децентралізації в Україні"
Ieva KALNINIA. Team Leader of the Swedish-Ukrainian project "Support to Decentralization in Ukraine"
Education has become a new area of responsibility for amalgamated hromadas. In order to provide professional assistance in this area, the Swedish-Ukrainian project "Support for Decentralization in Ukraine" developed a strategy for implementing effective hromada’s education management. The success of the strategy is accomplished with a variety of tools, among which the online platform "Best Practices in Hromada’s Education Management" plays an important role. 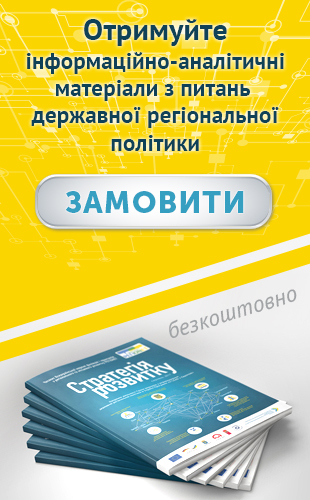 The formation of amalgamated hromadas requires the appropriate information support – conducting a Ukraine-wide information campaign using the entire spectrum of communication tools. This is precisely the work conducted by the team of specialists of the Working Group on Communications in support of decentralization. Thanks to the fruitful cooperation with the Ministry of Regional Development, we managed to develop posters, big boards, city-lights, leaflets, and radio and television promotional material that communicated the essence of the reform to the hromadas and encouraged them to unify. Віктор ТИМОЩУК. Експерт Програми "U-LEAD з Європою"
Traditionally, the Administrative Service Centre (ASC) is a specially equipped facility, where it is possible to obtain a wide range of administrative services in comfortable conditions. However, when it comes to providing administrative services in hromadas that include a large number of separate settlements, the single office of the ASC will not always be a satisfactory solution. The program "U-LEAD with Europe" in cooperation with the Slavuta amalgamated hromada launched the first mobile ASC in Ukraine which will serve 20 settlements and provide 80 different types of services. Тарас ЖУРАВЕЛЬ. Керівник проекту "Реформа управління на сході України"
Олексій КУБАРЬ. Координатор проекту "Реформа управління на сході України"
For people who feel the direct effects of the conflict in the Donbass, it is difficult to return to normal life. Most of the employees who worked in the Lugansk Regional State Administration are currently working and living in Severodonetsk. They must make decisions about the strategy of the region's development, on the development of education or medicine, and on other areas of life. These decisions must be coordinated and take into account the interests of the entire hromada. At the same time, such decisions are relevant not only for the east, but also for other regions of Ukraine. How can this be promoted and helped? ЗАКОНОТВОРЧІСТЬ I ВИКОНАННЯ УГОДИ ПРО АСОЦІАЦІЮ УКРАЇНА – ЄС. У ФОКУСІ – ДЕРЖАВНА ДОПОМОГА КОМПАНІЯМ. LAWMAKING AND IMPLEMENTATION OF THE EU – UKRAINE ASSOCIATION AGREEMENT. IN FOCUS: STATE AID TO COMPANIES. The Association Agreement between Ukraine and the EU provides for the harmonization of existing schemes and measures of state aid to economic entities operating in Ukraine, as well as the development of new schemes and measures on the basis of certain rules (Article 264 of the Agreement) in compliance with EU rules. Currently in the Verkhovna Rada of Ukraine there are more than 30 pieces of draft legislation concerning the provision of privileges or grants to participants in free (special) economic zones, industrial parks, and individual industries. Work on these draft bills should ensure that they are brought into line with the Association Agreement between Ukraine and the EU. In the framework of the USAID DOBRE Program a methodology was developed for using a Local Government Capacity Index. A similar index was used in other countries. One was adapted for Ukraine to precisely reflect those indicators that are important in the context of Decentralization Reform. Hromadas can now use this index as an instrument for the self-assessment of their own abilities. This helps to set priorities for the development of one or another component of the management system. Патрік РЕЙДЕР. Директор проекту USAID "Підтримка аграрного і сільського розвитку в Україні"
The "Support for Agrarian and Rural Development in Ukraine" (USAID ARDS) aims to promote integrated and sustainable economic growth through the development of Ukrainian agriculture. Its activities are aimed at increasing the competitiveness of products and the quality of management in the agrarian sector, which will lead to the economic growth of rural entrepreneurial structures. This will provide better opportunities for employment for the rural population and attractive living conditions in rural areas. In 2017 212 farms from all regions of Ukraine received state support through the Ukrainian State Farmers Support Fund, amounting to 65 million UAH. The plans of the Fund for the next year include the transformation of the state budget institution into a state financial institution, the main advantages of which will be the expansion of the list of services. For example: organizing the training of farmers for business in new directions, the creation of an All-Ukrainian network business incubator for the diversification of agricultural production, and the development of cooperation in rural areas. Стівен ТАППЕР. Радник з економічних питань Групи радників з впровадження державної регіональної політики в Україні Програми "U-LEAD з Європою"
Any government faces the issue of how to stimulate specific market participants to produce the results that it has set for the objectives of its national or regional development plan. Support mechanisms in most EU countries include the following elements: business advisory, encouraging entrepreneurship through the educational process, innovation and growth strategies, digital economy, access to finance, enterprise areas, and social enterprise support. To develop the economy of Ukraine it is necessary to intensify entrepreneurial activity, which requires the provision of credit resources on more acceptable terms than the banking system can provide today. Vinnytsya will become the first city in Ukraine where there will be a special program of financial support for local small and medium businesses. The essence of the initiatives of the state-owned bank "Oschadbank" and the Vinnytsya City Council are to provide entrepreneurs with preferential loans for their own activities. At the same time, the city is ready to return to entrepreneurs up to 75% of the additional revenues from local taxes levied on these entrepreneurs in the first year of lending, in the second year – up to 50% and in the third year – 25%. The Donetsk region has chosen Europe as its strategic direction and subordinates all of its intermediate actions to this goal. In practice, this means the development and implementation of specific regional development projects. For example: the project "Interactive Map", using geospatial technologies, visualizes and unifies the past, present and future of the infrastructure of the Donetsk region. Another project area is the construction of "support schools" which includes 1 billion UAH provided by state, regional, and local funders for heating modernization, capital repairs, the renovation of material and technical bases and the improvement of school property. In the conditions of armed conflict, the priorities for the strategic development of Lugansk region are the restoration of the destroyed infrastructure and the creation of favorable conditions for people's lives. Therefore, in 2017 two ambitious project ideas were implemented: the construction of a radio and TV broadcast tower in Novoaidarsk district and an overhaul of the old building of the Severodonetsk House of Culture to be the home of the Lugansk Academic Regional Music and the Ukrainian Dramatic Theater. These are not just projects, but symbols that demonstrate the region's movement towards a peaceful life. Since 2015 the Kirovograd region has been implementing the project "The Health of our children" – a complex of measures aimed at improving the quality of treatment for pediatric patients, improving the nutrition of pupils in educational institutions, and building infrastructure for physical education and sports. An example of a project success was the creation of a children's medical camp, whose activities are aimed at improving the demographic situation in the Kirovograd region and protecting the health of future generations from the first days of life. Access to funding on acceptable terms is a key factor for the development of small and medium-sized businesses. That is why one of the objectives of the program "Increasing the Competitiveness of Lviv Region" was to support small business using the regional budget to compensate businesses for a portion of interest on loans. In 2016 the program was used by 16 entrepreneurs, and in 2017 by 33 entrepreneurs. The experience gained confirms the effectiveness of the selected support methodology and the need to further increase the volume of preferential lending to small businesses. The rich resource potential of the Ukrainian part of the Lower Danube Region presents wide opportunities for introducing diverse areas of domestic and international tourism that can become one of the priority sectors for the development of a regional and national economy. An ideal place for this is the city of Vylkove – the modern tourist mecca of the Danube Region, which is visited annually by a significant number of Ukrainian and foreign tourists. The Kherson region is perhaps the first Ukrainian region to start reforms in the medical sector. Four hospital districts have already been established in the region. This is a step aimed at the implementation of medical insurance. After all, the main task of medical sector reform is improving the quality, availability and timeliness of the provision of emergency and specialized medical care to the inhabitants of the region. While in other regions they are still learning the rudiments of E-medicine projects, it is already being introduced into the medical institutions in the Kherson region. РОЗВИТОК ІНФРАСТРУКТУРИ ДЛЯ ІНВЕСТУВАННЯ НА ЧЕРКАЩИНІ: ІНДУСТРІАЛЬНИЙ ПАРК "ЗОЛОТОНОША"
INFRASTRUCTURE DEVELOPMENT FOR INVESTING IN CHERKASY REGION: THE INDUSTRIAL PARK "ZOLOTONOSHA"
International experience suggests one way to create incentives for attracting investors is the creation of industrial parks that are ready for work by investors. In 2016 in Zolotonosha, 35 km from Cherkasy, a 40 hectare site was selected for the creation of an industrial park. In 2017 the Ministry of Economic Development and Trade included the Industrial Park "Zolotonosha" in the official register of industrial parks in Ukraine. Today, experts from the Cherkasy Regional State Administration are actively searching for a developer who will be interested in using the area of the Industrial Park and will be able to become its managing company. Today, the experts at the Trostyanets amalgamated hromada clearly understand that Ukraine is not only competing with other countries to attract investment, but that there is also a similar competitive struggle within the country – between separate regions, cities, and amalgamated hromadas. In order to succeed in this contest, it is necessary to understand the factors that influence investor decisions – to understand the necessity of forming a favorable investment climate in the hromada, the need to build a community development strategy and schemes of the spatial planning for the development of territories. The Main activities of the All-Ukrainian interactive audiovisual information and consulting network "Way of Reform": Conducting teleconferences on regional development with the participation of leading Ukrainian and foreign specialists; Providing opportunities for everyone to demonstrate their professional skills; Serving as a repository of master classes on the implementation of state regional policy; Acting as a venue to present your achievements, facilitate expert discussion of your ideas, and search for new business partners; Conducting teleconferences on topics that you define! Заповнюйте заявку за посиланням: Goo.gl/pHE3AF і Ви будете отримувати не лише журнал «Стратегія розвитку», а й багато інших інформаційно-аналітичних матеріалів Групи радників з впровадження державної регіональної політики в Україні Програми «U-LEAD з Європою».